The IDC is proud to announce that we have been granted observer status with the African Commission on Human and Peoples’ Rights (ACHPR), a mechanism that promotes and protects the rights guaranteed by the African Charter on Human and Peoples’ Rights. NGOs with observer status may participate in and speak at the public discussions; however, they are not permitted to vote. These NGOs must register to attend specific sessions: fill out registration forms ahead of the ordinary session, or at the opening of the session. NGOs without observer status may attend the sessions but are not allowed to speak. 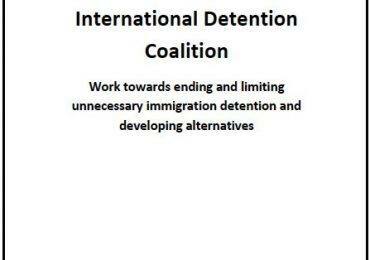 See a full list of other NGOs with observer status here, including many members of the IDC. 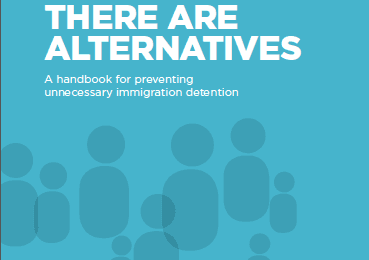 Observer status entitles the IDC to continue to promote the rights of asylum seekers refugees and migrants in (or at risk of) immigration detention. The IDC extends its gratitude to our many colleagues who supported this application: the Secretariat of the Africa Union, Commissioner Maya Sahli Fadel and Commissioner Med Kaggwa, and our IDC members. Any further questions should be directed to the IDC Africa Regional Coordinator.